Monday evening, 7pm March 18th 2019, will be Essex Skills Night, run and hosted by the CARS Training Team. It does not matter whether you are a club member, or from other clubs, not licensed, or just interested - All are Welcome, and it is Free! Training Team Free Raffle - The Club table welcomed arrivals/visitors, Membership Renewals and Course Enquiries. All attendees were given a free ticket as they signed in at the door. Bumper Tabletop Sale: The sale of a SK Shack. Transceivers, Receivers, Recorders and numerous other pieces of equipment and Components. Post-it Board: Anyone wishing to sell equipment or have a problem that needs resolving, put it on the Post-it Board. There is a wealth of knowledge out there. Or... come for a get-together and a natter! Refreshments: Tea and coffee are on offer too, thanks to our team in the kitchen. We are here to help, you ask what you need to know. NO question is silly question!. We have all been there, just ask? Skills does not happen by itself, so we are open to offers for demos etc from both CARS members and other clubs/amateurs. If you want a table for a demo do email us beforehand and we will fit you in. Skills is a great opportunity to get "hands-on" with aerials, datamodes, construction, our famous Quiz and more. A variety of "show and tell" tables with something for the new and experienced Ham alike. As always, various members of CARS, and other local groups/clubs will be on hand to help with questions, as well as volunteers in the kitchen doing the tea/coffee and nibbles. 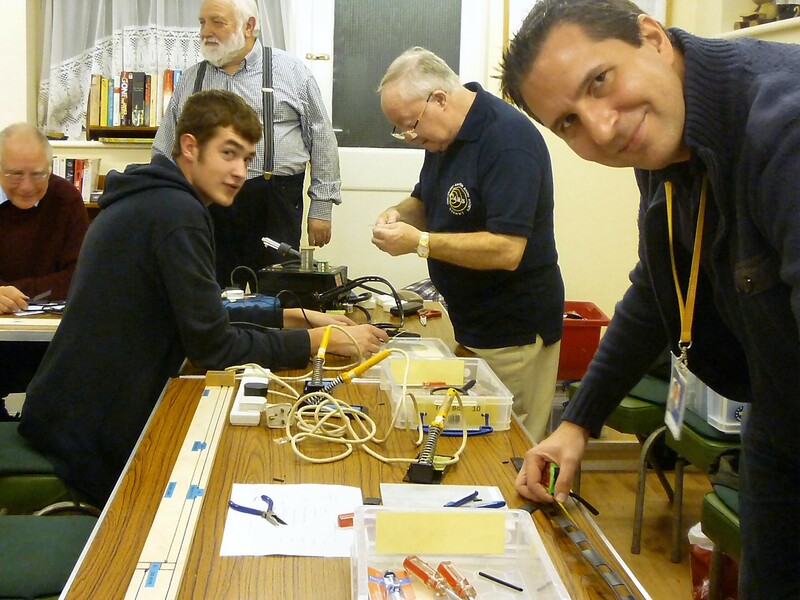 Skills Night takes place at the Danbury Village Hall – Entrance is free, and the event is open to all. Tea/coffee is also available. Want to be notified of future events?